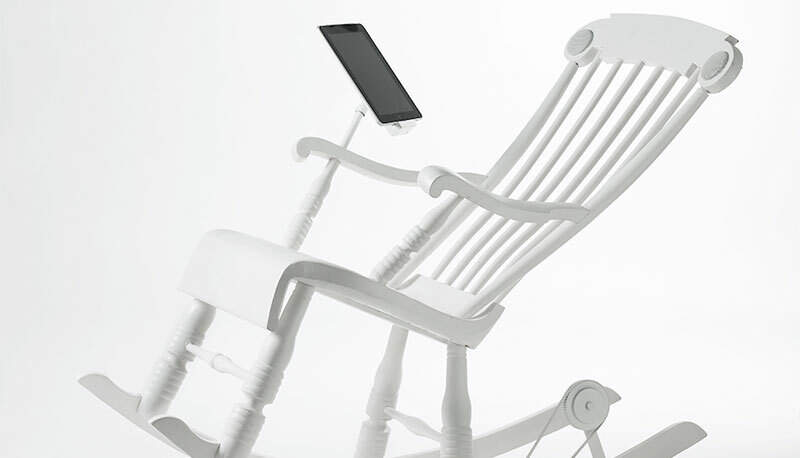 In the near future, you may be able to harness all of that energy you expend rocking your baby to sleep, to juice up your iPad or iPhone, thanks to iRock, the brainchild of Micasa Lab, and the world's first human powered rocking chair charger. 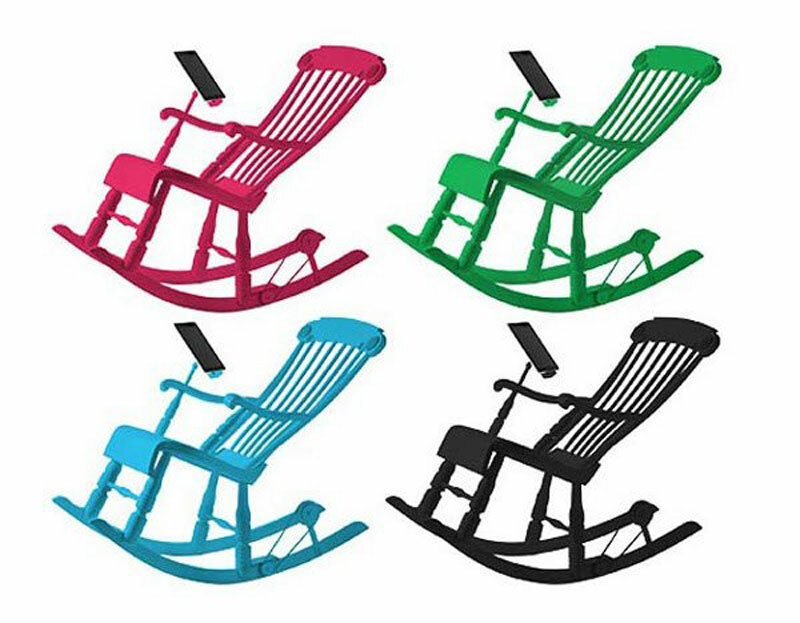 iRock, still under development at this point, is a new modern take on a classic nursery essential: the rocking chair. iRock boasts a self sufficient iPad dock and sound station that puts your rocking to good use. As you rock your little one to sleep, iRock turns your movement into power via a clever generator designed right into the chair. The generator conducts enough power to recharge an iPad 3 to 35% after just 60 minutes of rocking. iRock is also designed to charge any other Apple device. Made with pine wood and painted in shiny white or various other hues, the chair’s design is appealing, but think about this: The Electric Power Research Institute (EPRI) notes that the annual cost of charging an iPad every other day is only around $1.36 a year. Considering you’d have to shell out a whopping €1300 for this chair, and factoring in that this chair isn’t exactly eco-friendly, you may be better off with a $10 charger. Also, how many gadget minded items do you really need? You tell us. Would you buy the iRock? iRock is also designed to charge any other Apple device. 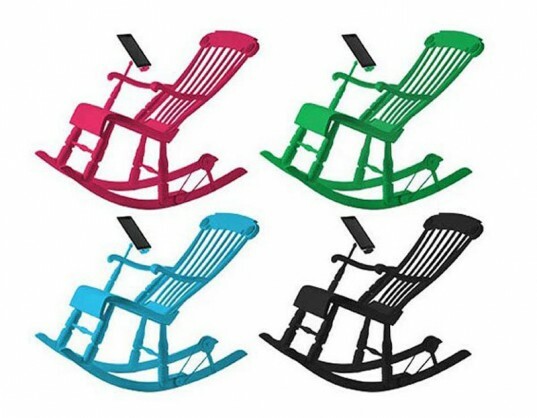 It is made with pine wood and available in a variety of vibrant hues. The chair's design is appealing, but think about this: The Electric Power Research Institute (EPRI) notes that the annual cost of charging an iPad every other day is only around $1.36 a year. Considering you'd have to shell out a whopping €1300 for this chair, and factoring in that this chair isn't exactly eco-friendly, you may be better off with a $10 charger. Also, how many gadget minded items do you really need? You tell us. Would you buy the iRock?